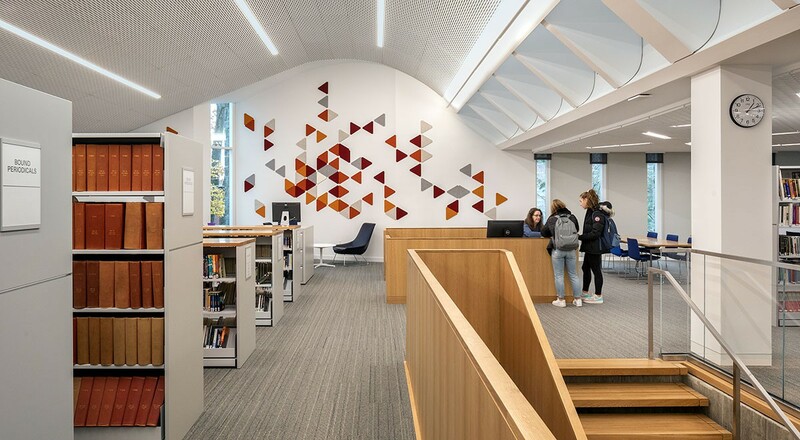 At the Tate Library of the Ethical Culture Fieldston School (ECFS) in the Bronx, the building constructed in the 1970s was renovated into a twenty-first-century learning commons by Architecture Research Office (ARO). 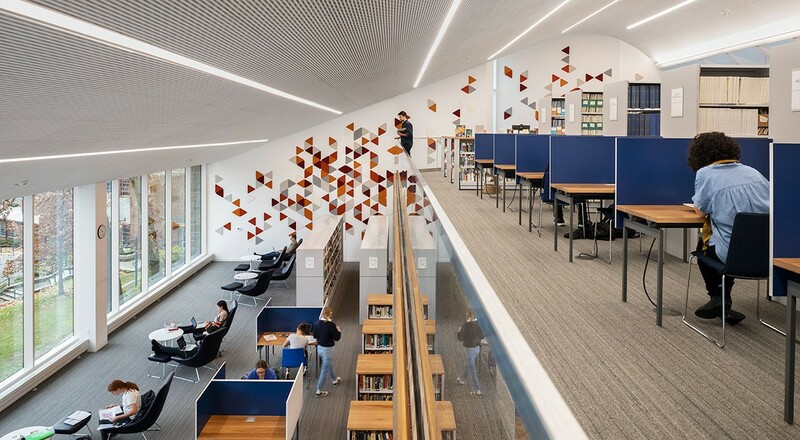 Proof positive that product designers love what they do, ARO Block 1 is installed in a sweeping installation of over five hundred tiles in six colors that gently cascade over the mezzanine. 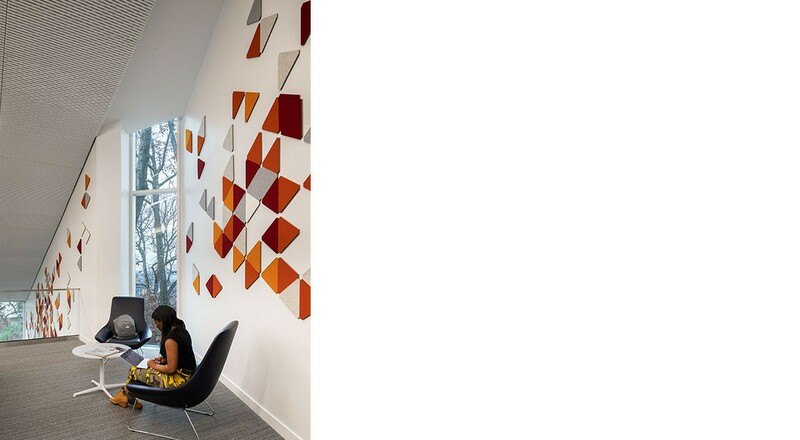 The clever geometry of these triangular acoustic tiles makes the most of the negative space left behind, and ARO takes this one step further with an interesting and irregular configuration. For more information on the product featured, please visit ARO Block 1.